Specializes in civil and commercial litigation. She has gained her previous experience working i.e. in the Warsaw dispute resolution departments of international law firms. She graduated from the law at the University of Warsaw with distinction. During her studies, she got the third place in the II National Moot Court Competition in Commercial Law, co-organized by the Arbitral Court of the National Chamber of Commerce. Since January 2018 trainee advocate at the District Bar Council in Warsaw. 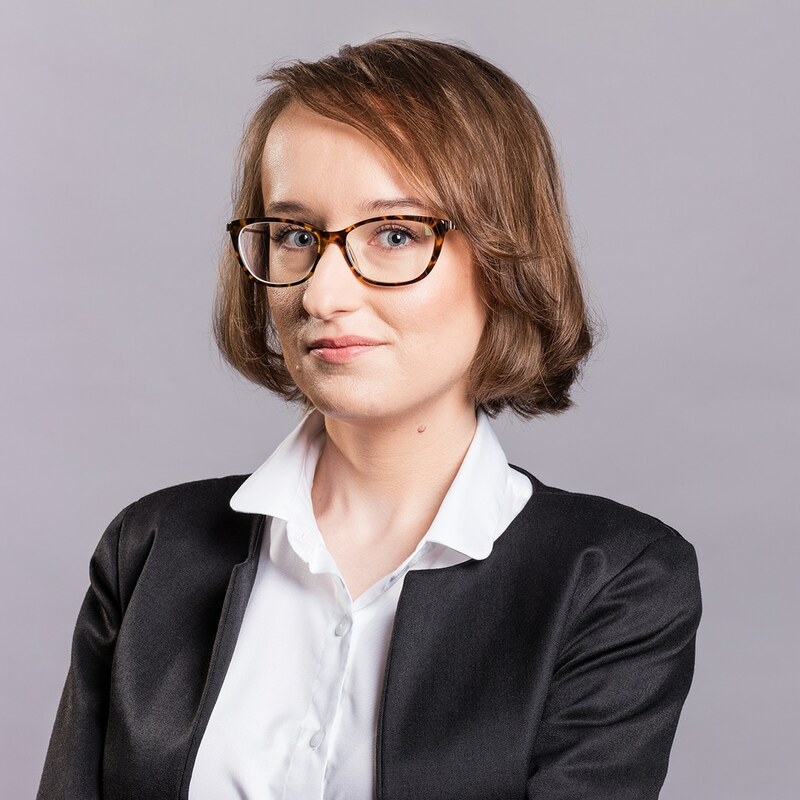 She is developing her interests in civil procedure at the PhD studies in the Department of Civil Procedure at the University of Warsaw, where she is preparing her PhD thesis devoted to cross-border litigation.